The Top Choice Award is today's most coveted business award because it works for you as a third party endorsement - even when you are sleeping. 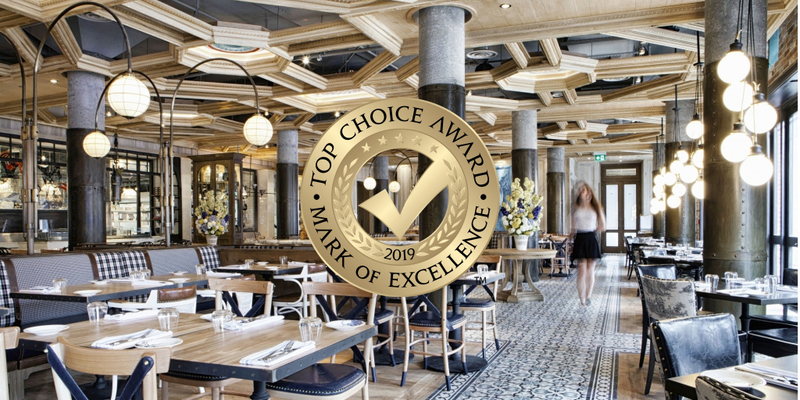 Other business award programs identify great businesses in many cities, but the way we engage with and promote Top Choice Award winners is what makes the award that's social so coveted. At Top Choice Awards, our winners are part of family, a community with a benchmark of excellence. We go above and beyond for our winners because they go above and beyond for the people of their city. We enjoy liking, sharing and commenting on your organic social media posts acting as your year-round online partner. We produce the largest and most luxurious awards ceremony in North America to crown those who make the Top Spot live under the media spotlight. We create valuable promotional tools and services to help you go through the nomination and voting process and offer up to date business advice to help your business reach further in today's cyber marketing world, so that you can stand out from the crowd. 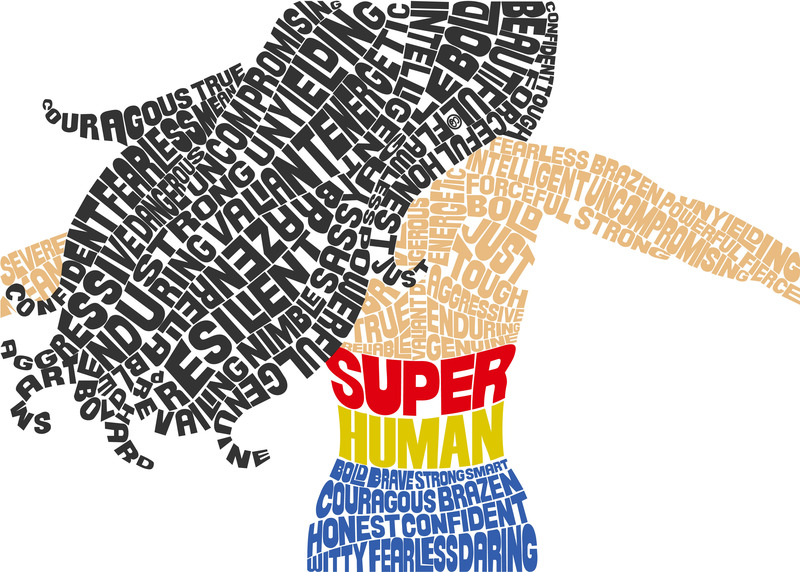 To gain the Top Spot we encourage you to do your online research beforehand and choose the award that is devoted and aligned with your business and its true core values. 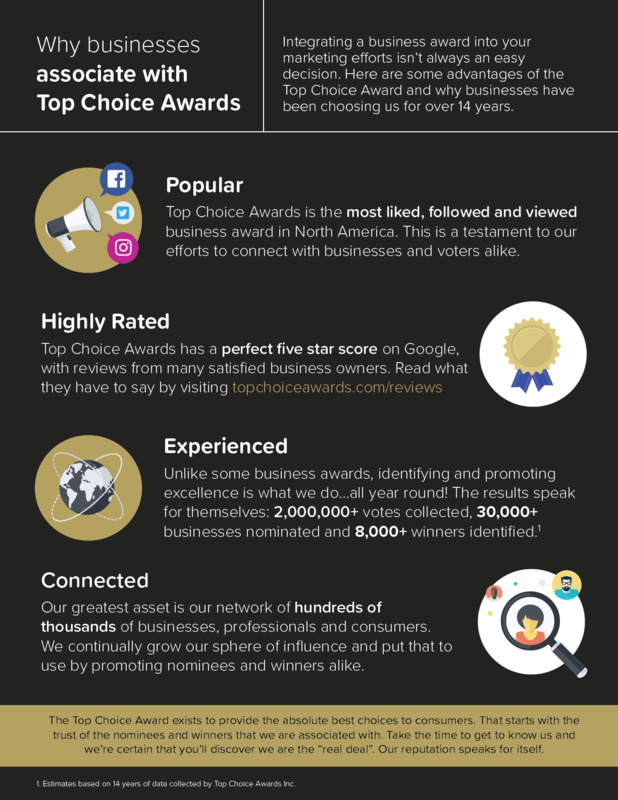 The graphic below shares some additional insight into why businesses have been proud to associate with Top Choice Awards over the years... Or better yet, you can hear it from the winners themselves (click here)!